Trump’s oligarchic regime is an extreme version of the imperial and economic vision that has guided presidents of both major parties. But the popularity of Trump’s chauvinist, xenophobic appeal points to a major crisis in the ideological and political-economic regime of the United States and the world for decades. That’s neoliberalism, a system that isn't quite over under Trump. But as Nicole Aschoff argues in the most recent issue of Jacobin, it has radically changed. 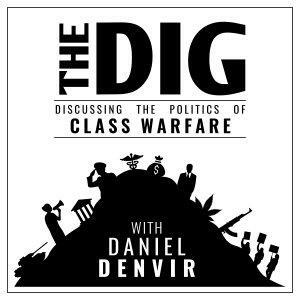 Today, my guest is Nicole Aschoff, managing editor at Jacobin and the author of The New Prophets of Capital, part of Jacobin's Verso Series. You can read her article "The Glory Days Are Over" in the new issue of Jacobin and at jacobinmag.com.